My goodness! Time is really flying past me here. I was updating our kitchen calendar and cannot believe that it is almost MAY!!! That means school is almost out and summer is coming up FAST!! We are back in the groove of our after-dinner walks! Alex and I are getting in LOTS of time at the park after our picnics on Andy's school days. Thank you, Kristi for helping me out that day!!!! You are one awesome friend! Love ya!! Time for another after-dinner walk! Lunch time outside. Apparently for Max, too... Who got a hair cut on this day (finally!) - isn't he the cutest?! After getting Andy from school, we headed over to the park again. Storms were supposed to be rolling in later that evening. We had to enjoy it while we could! The birds came out when the storms left. Mornings like these are a favorite of the boys. They love watching the birds - especially our sweet cardinal couple. Nana and Papa came for a visit this past weekend. These are the only pictures I ended up getting from the weekend, but we had a lot of fun. Are you wondering about the game that the guys are playing? 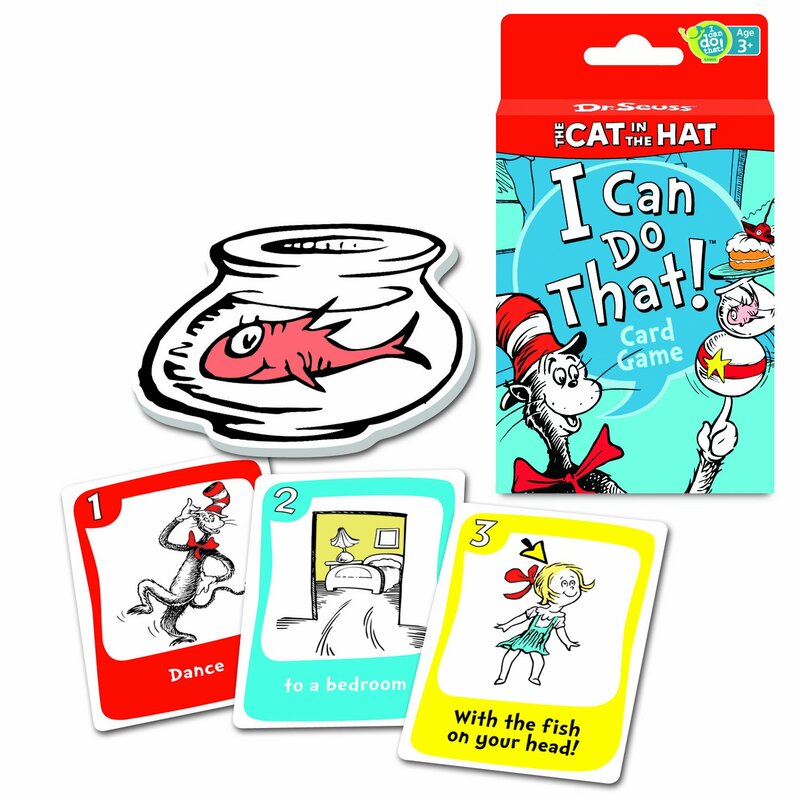 It is the Cat in the Hat I Can Do That: The Card Game and it is becoming a quick favorite here these past few weeks. It is SO funny to watch the little guys (and the big ones, too!) do the different tasks in the game. If you have preschoolers/toddlers, then get this game and have a video camera / camera very close by!! We hope everyone had a wonderful week and weekend, too! We are getting ready for the summer here and excited for all of the end of the school year fun coming in the weeks ahead. Have a great week!